Some fun stuff is happening in April. First, I'm adding a new class to the schedule: Wednesdays at 1:00pm you can join me for Somatics in my private SE Portland studio. I'm running my Free Your Whole Body 4-week online series on Mondays April 9-30 at 4:30pm. You can see all the offerings below or over on my Think Somatics website. Tue • April 3 | 830am | studio | Save Your Spot! Wed • April 4 | 1:00pm | studio | Save Your Spot! Fri • April 6 | 8:30am | studio | Save Your Spot! We can not get away from stress. It's everywhere, from work to traffic, from news to the dinging of our social media apps. Every stressor that enters our day, enters our bodies as well, with reflexes that make us cringe inward or rev up to fight or flee. Our typical daily stressors aren't actual emergencies, but the way the nervous system interprets them trigger muscular responses in our bodies. And if we habituate those responses every day, without releasing the tightened muscles we are physically and mentally holding stress in our bodies. Come learn simple ways to notice, and release the stress that's limiting your true freedom of self. Tue April 10 | 830am | Studio | Save Your Spot! Wed April 11 | 1:00pm | Studio | Save Your Spot! Fri April 13 | 830am | Studio | Save Your Spot! Since I started doing Somatics I no longer where orthotics, inserts or squishy tennies with more bells and whistles than an first addition iphone. The soles of my feet actually have more tissue too. Come learn how freeing your torso to rotate and move with ease trickles all the way to how you feet interact and roll across the with the ground! Rolling Over with Ease ...AKA Free Your Core! Tue April 17 | 830am | Studio | Save Your Spot! Wed April 18 | 1:00pm | Studio | Save Your Spot! Fri April 20 | 830am | Studio | Save Your Spot! The day you rolled over as a baby was a big day for you, and your parents! You learned how to twist and rotate your center so you could flop around like the squirmy baby you were. Fast forward to now. Has rolling over become an effort for you? 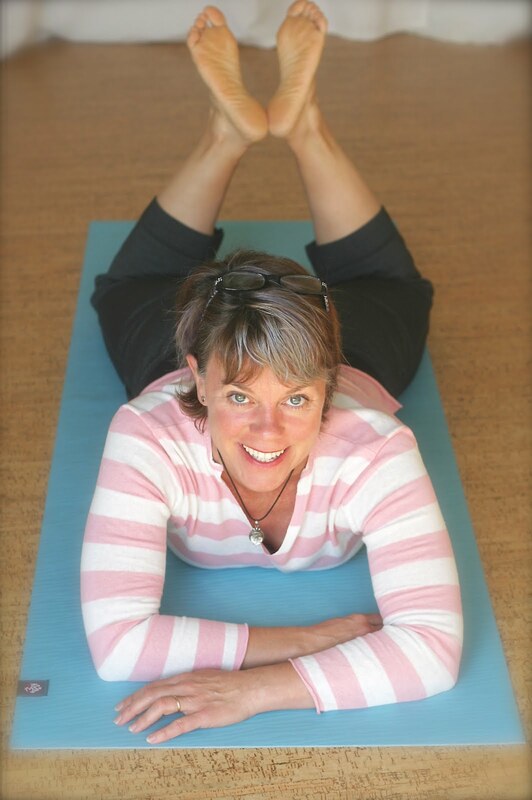 Well, join me for a fun, freeing class to learn why rigidity is your enemy! Attaining tight abs will not serve you as well as you've been told. Sensing is believing. Tue April 24 | 830am | Studio | Save Your Spot! Wed April 25 | 1:00pm | Studio | Save Your Spot! Fri April 27 | 830am | Studio | Save Your Spot! If you have a hard time falling asleep, staying asleep or are woken up during the night to go to the bathroom, you will learn a lot about how stress influences sleep patterns and bladder control. These two things don't necessarily happen together, but the way you deal with stress affects them both. Visit Think Somatics Workshops + Series page for all the details! Mondays | 830am | Mt Tabor | Save Your Spot! Wednesdays | 830am | Mt Tabor | Save Your Spot! Grab a pair of hand weights and let's take it outside. People around the world move their bodies while they carry, lift and move weighted objects as part of their every day lives. If you sit more than move, this class will thrill your body and brain. Join us as we move around the park, play and get fit.